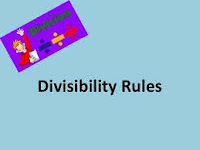 Often while calculating or factorizing large numbers we face the problem that which number from we should divide, weather it will be divisible or not by that number, so here we are discussing some tricks and shortcuts to check divisibility of large numbers by small numbers like 2, 3, 4, 5, 6, 7, 8, 9, 10 and 11. A number is divisible by 2 if its last digit is any of 0,2,4,6,8. Eg: 24, 62, 50, 96, 10934, 2748 are divisible by 2. 8571, 57633, 2645, 9607, 16249 are not divisible by 2. Eg: Check divisibility of 3968721 by 3. Soln: Sum of all digits = 3 + 9 + 6 + 8 + 7 + 2 + 1 = 36. As 36 is divisible by 3 so 3968721 is divisible by 3. A number is divisible by 4 if the number formed by its last two digits are divisible by 4. Soln: Here we will check if last two digits that is 36 is divisible by 4. As 36 is divisible by 4 (36 = 9 * 4), 3985736 is divisible by 4. A number is divisible by 5 if is last digit is either 0 or 5. Eg: 384575, 8565, 47695, 39280. 76820 are divisible by 5. 87731, 69782, 8773, 1354, 87926, 76847, 109928, 86739 are not divisible by 5. A number is divisible by 6 if it is divisible by 2 and 3. Eg: Check if these numbers are divisible by 6. (i). 34572, (ii). 9213, (iii). 7402. 34572 is divisible by 2 as last digit is 2. 34572 is divisible by 3 as sum of all digit = 3+4+5+7+2 = 21 is divisible by 3. Hence 34572 is divisible by 6. 6213 is not divisible by 2 as last digit is 3, so 6213 is not divisible by 6. 7406 is divisible by 2 as last digit is 6. 7406 is not divisible by 3 as sum of its digits = 7+4+0+6= 17 is not divisible by 3. Hence 7406 is not divisible 6. If you double the last digit of the number and subtract it from the rest of the number and answer is either 0 of divisible by 7, than the number is divisible by 7. Eg: Check if these numbers are divisible by 7. Doubling the last digit 3*2 = 6. Subtracting it from 6 = 6-6 = 0. Hence 63 is divisible by 7. Doubling the last digit = 2 * 2 = 4. Subtracting it from 67 = 67 - 4 = 63. As 63 is divisible by 7 hence 672 is divisible by 7. Subtracting it from 90 = 90 - 10 = 80. As 80 is not divisible by 7 hence 905 is not divisible by 7. A number is divisible by 8, if the number formed by its last 3 digits is divisible by 8. Eg: Check if 857480 is divisible by 8. Soln: Dividing last three digits that is 480 by 8 we get 480 / 8 = 60. As 480 is divisible by 8 857480 is also divisible by 8. A number is divisible by 9 if sum of all digits is also divisible by 9. Eg: Check if 9247518 is divisible by 9. Soln:: Adding all digits = 9+2+4+7+5+1+8 = 36. As 36 is divisible by 9 9237518 is also divisible by 9. 693, 57682, 6785 are not divisible by 10. Eg: Check if following numbers are divisible by 11. Difference = 20 - 20 = 0. Hence 76289125 is divisible by 11. Difference = 22 - 11 = 11.Hence 9784101 is divisible by 11. Check if 76834651 is divisible by 2, 3, 4, 5, 6, 7, 8, 9, 10 and 11. Check if 8736459 is divisible by 2, 3, 4, 5, 6, 7, 8, 9, 10 and 11. Check if 9012383 is divisible by 2, 3, 4, 5, 6, 7, 8, 9, 10 and 11. Check if 57463822 is divisible by 2, 3, 4, 5, 6, 7, 8, 9, 10 and 11. Check if 17903160 is divisible by 2, 3, 4, 5, 6, 7, 8, 9, 10 and 11.